Mid Century Globe | Interior Boutiques – Antiques for sale and mid century modern furniture, french furniture, antique lighting, retro furniture and danish furniture. 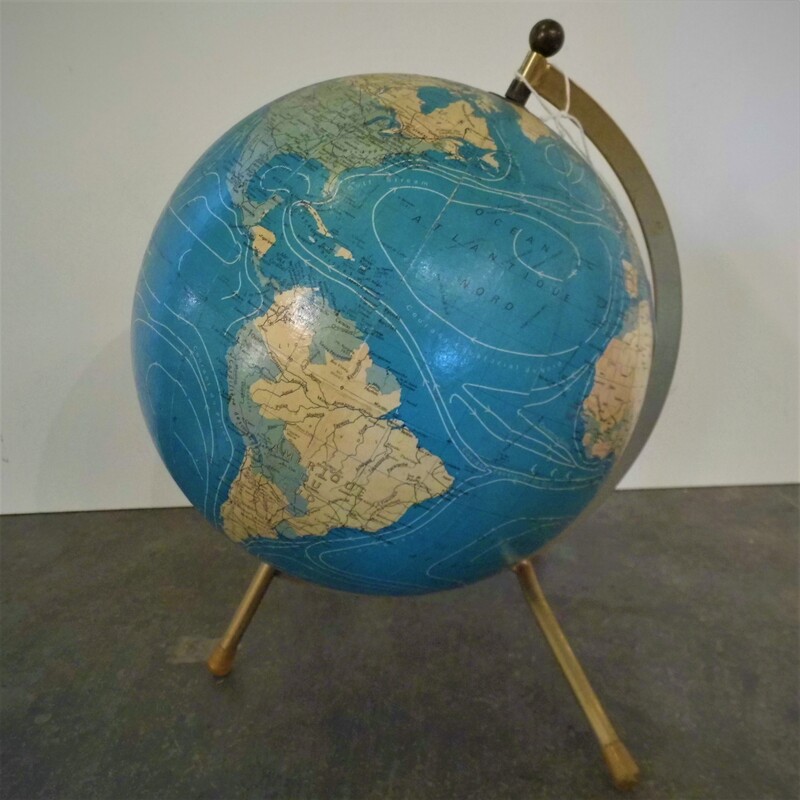 Au unusual French Mid Century Globe circa 1960 displaying Ocean currents and mounted on a brass tripod stand 20 cm diameter. Travers Antiques has been in business for over 30 years and provides an eclectic mix of Antique, Art Deco, Mid Century Modern and Vintage industrial furniture, lighting and decorative objects online and from our shop in Alfies Antiques Market, Marylebone. We often have new items coming in, or can source a wide range of pieces. Please feel free to contact us with your needs.